If you watched my Kindle 2 unboxing video with Sally, you may have noticed that I was wearing a special “John Chow’s Blogging This” T-shirt. 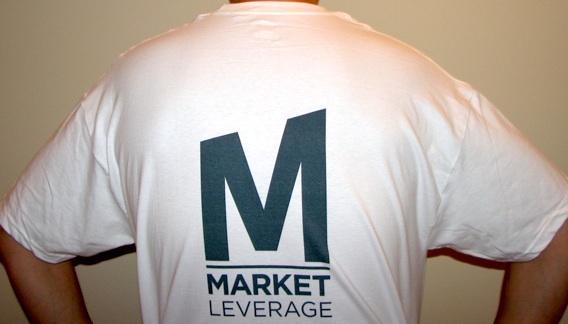 The shirt was custom made for me by Market Leverage. Currently, it’s the only one in the world. You would think that it would cost the same to make ten shirts as it would to make one but it seems ML has a print on demand supplier who is willing to print just one shirt. 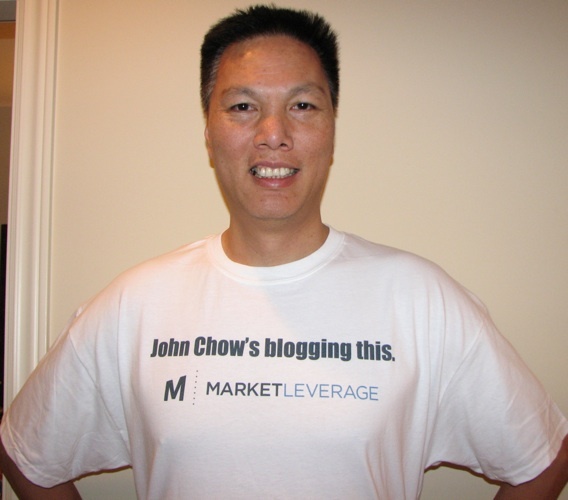 In addition to the custom wording on the front, the John Chow’s Blogging This T-shirt features the biggest Market Leverage logo ever printed on the back of a shirt. No doubt about it, those people in China are going to be able to tell who sponsors my blog from a mile away. Expect a Sally Chow’s Blogging This shirt next. I don’t know how many ML affiliates are getting custom made T-shirts but they sure are a cool idea! Thanks to Dina at Market Leverage for hooking it up. If you haven’t done so, be sure to enter the John Chow Market Leverage contest to win a Flip Mino HD digital camcorder. I’ll be drawing the winner in Guangzhou, China at the end of the month. Good luck!